A Laid-Back Escape from The Bustle of Hong Kong | What an Amazing World! It was Tuesday afternoon. The fog which covered many parts of Hong Kong a few days earlier had completely cleared up. It also happened to be my last hours in the city before leaving for Bangkok the next morning. I was at Statue Square in Central waiting for James to show up and bring me to other interesting parts of Hong Kong which we did not manage to go the day before. Together, then we walked to the Central Pier to once again take the legendary Star Ferry for catching the moment when the sun set and showered Hong Kong Island with dimmed light. One word, beautiful. We stayed there until the sun completely set and then walked a few minutes away to a place called 1881 Heritage. It is a very fascinating site for being one of the most extreme evidences of the occasionally weird combination of old and new in Hong Kong. 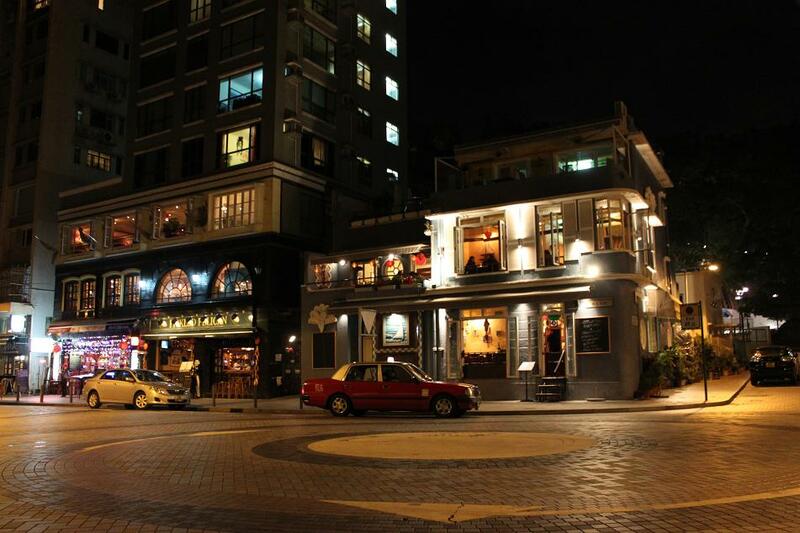 1881 Heritage used to be the headquarters of Hong Kong’s Marine Police which occupied a small hill in Kowloon. But today the hill had been removed and replaced by, guess what, another luxury shopping center! It was such a bizzare feeling to imagine that all of the shops were once soil, dirt and everything else which made the hill. Meanwhile, the former headquarters building still sits elegantly on top of the shopping compound as one of the few remaining parts of the hill. The others are an old tree and a signal tower which was equipped by a time ball as a tool for sailors to calibrate their clocks. In fact, the hill used to be located at the coastline, but after undergoing some reclamation projects, some normally-located-by-the-sea structures in Hong Kong are now oddly situated far from the shore. A few minutes later we went back to the island to head for Stanley for a more serene and laid-back escape from the city. Stanley is located in the southeastern part of Hong Kong Island and can be reached by bus from Central (actually we took the bus from Admiralty) within 30 minutes or so. Along the way, the bus went through snaking roads at the hilly terrain of the island. The higher we went, the more luxury houses and apartments we saw (in Hong Kong the higher the location, the more expensive the property price will be). During the trip we also saw some interesting buildings such as an apartment which has a hole right at the middle of it. According to feng shui the hole is necessary so that the mountain dragon can go all the way down to the sea to drink. Hence blocking its way is not recommended at all. Interesting, isn’t it? Stanley is a very quiet place at night. But James told me that in some other nights Stanley Market will still be wide open for business. So we took a little stroll around the neighborhood and went inside the nice and modern town hall which not only serves as merely a town hall, but also a place for people to do various activities such as sports, reading books at the library or even just hanging out with friends and family. This place is very much dedicated to the people. 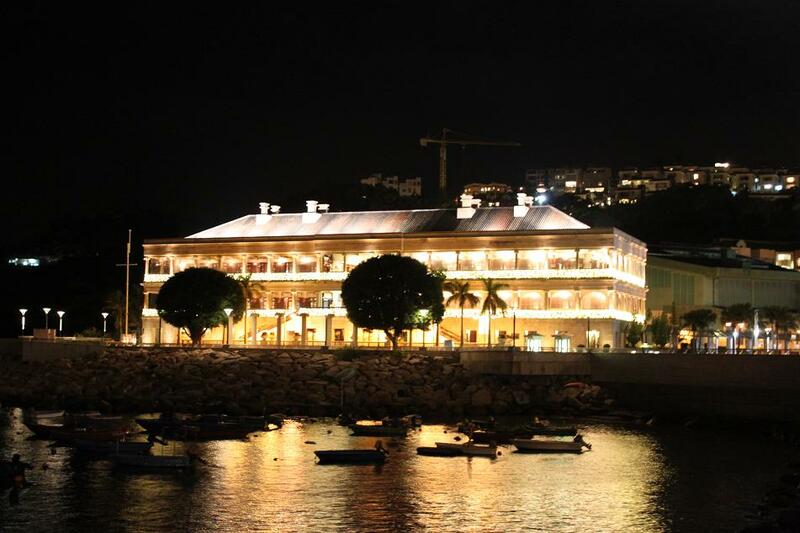 Other than that, Stanley offers a waterfront where old and artistic buildings dominate the humble skyline. Sadly enough there is a beautiful small building painted in light blue color which is about to be demolished soon. However there is one particular building which stands out among others not only due to its imposing structure but also its importance in Hong Kong’s history. It is Murray House which was originally built in Central but then moved to Stanley by taking out every single piece of it and reconstructing the whole building at the new place from the very same pieces. A very interesting way to preserve an old structure which can also be applied anywhere else to save those precious remnants from the past. Then we decided to have dinner in one of the restaurants inside Murray House and see all the old pieces very closely at the same time. After finishing the dinner (we were the last guests at that time), we headed back to the bus shelter and checked for the bus schedule then found out that we still got a little time to wander around. So, we went to an old police station which now functions as a supermarket. Again, it was a pleasant thing to see such an old building which still retains many of its original parts. I did take my time entering one part of the building to another just to admire how well they preserve this building. After paying for some traditional herbal tea that we bought and saying goodbye to two golden retrievers who sit in front of the store, then we went straight to the bus station and hopped on our bus to go back to Central. All in all, I did find this excursion a very pleasant way to spend my last evening in Hong Kong. I must say that Hong Kong did not fail me at all. So, I should see myself coming again to this particular corner of the world one day in the future. You should man! BTW I’m glad you finally start writing again..keep up! It reminds me so much of Shanghai but it is probably even more impressive. I would LOVE to go to Shanghai one day. only the skyliners are similar. but once you do relly know my city, i’m damn pretty sure these are totally two different cities. the culture, the spirit behind are far away from each other. Now I am even more excited to go to Shanghai one day!!! 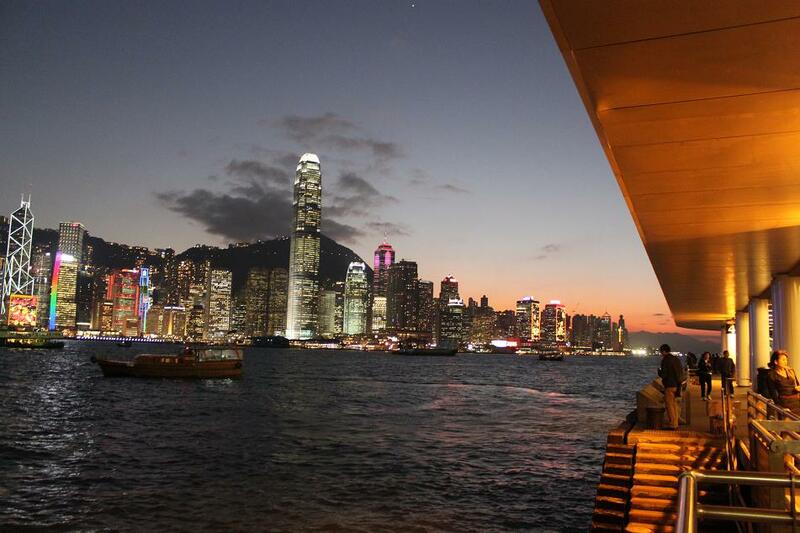 lovely photos – I must put Hong Kong on my “to see” list! Thanks! You should, because it not only offers what every other cities have, but also some cultural experiences as well. Wonderful pictures and wonderful writing skills, it felt as if i was there. Oh and yeah, i am kinda new here on the wordpress neighborhood and i just came across your blog.. so i had to leave a comment! I loved reading your posts (that’s right i am not reading JUST one at a time hehe). Tamy, thanks for reading! I just took a little peek at your blog and it seems like you’re from Romania, is that true? How fascinating! I want to visit your country one day! Thank you so much for replying to my comment, i’m starting to L-O-V-E the wordpress community more and more! I’ve been to Hong Kong but not outside the city itself. You gave me some great ideas for my next visit! Great photos, too! Thanks, Ania! I was lucky enough to have a local friend there who guided me through parts of Hong Kong where most tourists don’t know. Hi Sony! Wow, thank you so much for nominating me to receive the award. I am honored, truly. Hope is such a huge thing. I didn’t know that through my writings I silently convey the hope. I really appreciate it! Thanks Madhu! When I was in Hong Kong I went to Kowloon just to watch the skyline of Hong Kong Island over and over again, and I never get bored of it. I suggest you to try taking the pictures at different times of a day (dawn, noon, dusk, night). Next time I will take you hiking to one of Hong Kong’s most beautiful beaches. Oh gosh! That sounds so appealing, James! 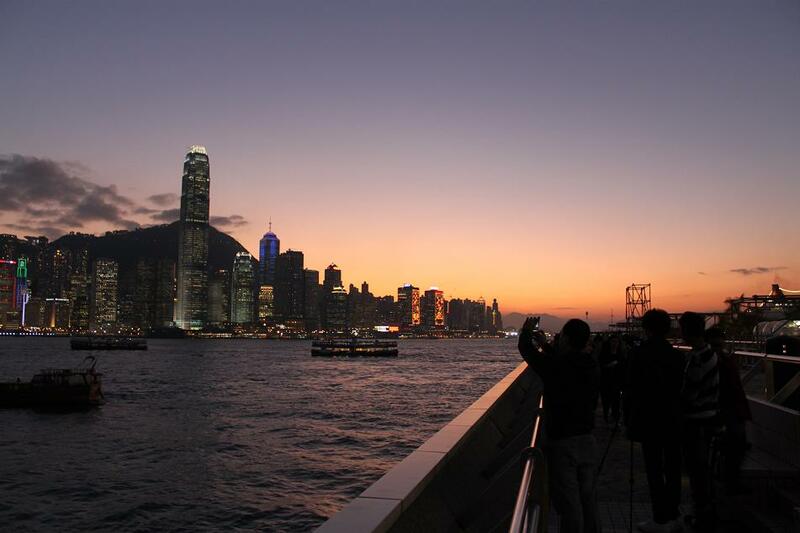 Wow, this post makes me rethink my perceptions of Hong Kong. I’ve only been once, briefly, and didn’t really enjoy it, but now I’m looking forward to going back (it’s part of an upcoming trip) and seeing it from a different viewpoint. You definitely need to spend more time in Hong Kong to explore more places and corners it has to offer. I hope you’ll have a great time on your next visit to Hong Kong one day! I can see why. 🙂 It’s a nice place, indeed. 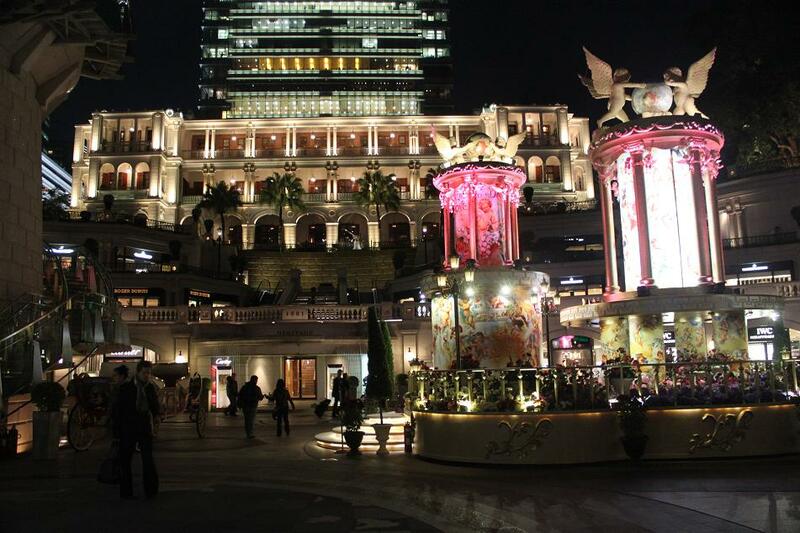 Although it is now converted into a shopping center and a fancy restaurant, just like anywhere else in Asia. I lived in Hong Kong for 7 years but it’s been a long time. I’m glad to read about a side of Hong Kong I never knew. I’m glad this post provides you with more info on some of Hong Kong’s nicer parts.